Information, including releases, statistics and photographs may be obtained by contacting Athletics Communications. Records, scores/statistics of games and other pertinent information will be distributed upon request. Interviews with coaches or players can be arranged by emailing or calling Jason Lutz. 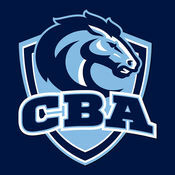 Media members can keep up with CBA Athletics by following us on Twitter (@CBAColts)& Instagram (@CBAColts). CBA Athletics photography is shot by Larry Levanti. To contact Larry or inquire about photography, please contact Jason Lutz.